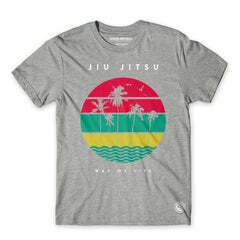 Popular fighters brand Progress, offers a range of BJJ t-shirts for you to enjoy. The Progress t-shirts range features subtle designs which show off Progress' logo in a variety of wearable colours. Browse the range below to find your next perfect t-shirt to have you feeling confident, wherever you're headed. If you want to see more t-shirts like these, don't forget to check out our larger range of BJJ t-shirts, which includes even more cool brands and designs.